Musicians of all ages and levels of ability are invited to bring their instruments and play alongside the musicians of the Richmond Symphony under the baton of Associate Conductor, Chia-Hsuan Lin. Registration for Come and Play 2018 is now open. 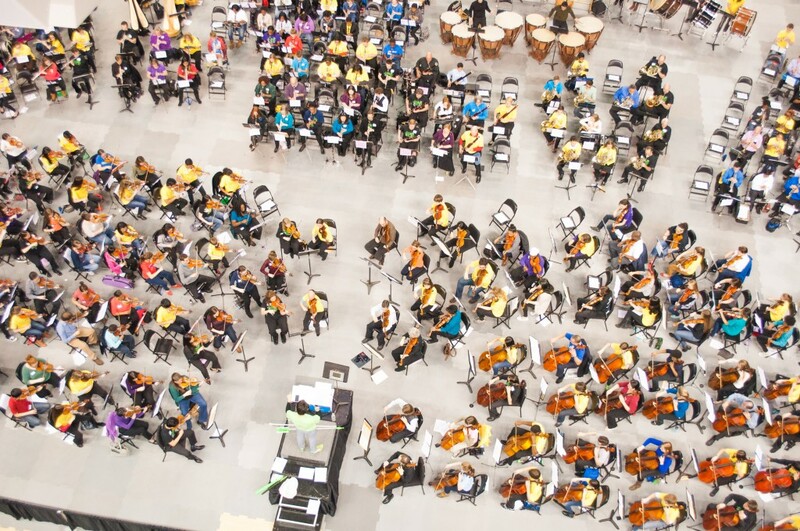 Instrument sections do have capacity limits, so please don’t hesitate to secure your spot! *The flute section has already reached maximum capacity and is now CLOSED. This event is presented in support of music education in Richmond area schools. For more information about Come and Play, please contact the Education & Community Engagement Department at education@richmondsymphony.com.